Online content remained uncensored and unrestricted during the coverage period, though online bots were among the top influencers on social media during the August 2017 elections (see Limits on Content). New press laws enacted under former President José Eduardo dos Santos in January 2017 remain in effect under the new president elected in August 2017. The laws empower the government with the ability to penalize online speech and ban online content (see Legal Environment). Prominent journalist and blogger Rafael Marques de Morais was taken to court in March 2018 for “crimen injuria” (insult) against Angola’s attorney general; he was acquitted in July in a win for press freedom (see Prosecutions and Arrests for Online Activities). Internet freedom in Angola remained weak during the report’s coverage period, registering no substantive changes under new President João Lourenço who succeeded former President José Eduardo dos Santos following elections in August 2017. While there has been no censorship of online content to date, government officials have increasingly called for the regulation of social media over the years. Former President dos Santos enacted a set of new media laws known as the Social Communication Legislative Package (Pacote Legislativo da Comunicação Social) in January 2017, which enable the government to control and censor critical information online. The new laws also created the Angolan Regulatory Body for Social Communication (ERCA, Entidade Reguladora da Comunicação Social Angolana), which has the power to regulate journalists’ conduct and investigate online content producers without judicial oversight, and also suspend or ban websites that fail to abide by its standards of “good journalism.” Critics worried the law would be used to crackdown on independent voices and online dissent in the lead-up to the August 2017 presidential elections. The elections proceeded with little surprise and no reported restrictions on internet freedom, though automated online bots were among the top influencers on social media during the elections period. Despite the state’s monopolistic controls on traditional media in the country, particularly in television and radio, the internet remained the main outlet for critics and opposition parties during the elections period. João Lourenço entered the presidency as the former president’s chosen successor and has continued to carry out dos Santos’ authoritarian policies. There were fewer arrests for online activities compared to previous years, though a defamation case against the prominent journalist and blogger Rafael Marques de Morais began in March 2018. Morais, who runs the critical news blog Maka Angola, was charged with “crimen injuria” (insult) for an October 2016 article published on the news site that accused Angola’s attorney general of illegal business practices in his purchase of state-owned land. In a win for press freedom in Angola, the blogger was acquitted in July 2018. High costs remain the main hindrance to increasing ICT access for the majority of Angolans. Unlimited internet subscriptions cost an average of US$150 per month, while USB dongle devices that provide wireless access cost between US$50 and $60. In urban areas, slightly more affordable subscriptions start at US$50 per month but can still cost as much as US$100 per month for reliable connections. Consequently, few Angolan households have internet access at home. Mobile internet packages come at a monthly cost of about US$45, while internet cafes charge approximately US$1 for 30 minutes. Those who are able log online at their workplaces, especially in the capital, Luanda. The 2011 Law on Electronic Communications and Information Company Services further enhances the government’s ability to control the country’s ICT sector.17 On paper, the law aims to ensure that ICTs in Angola are developed to play a fundamental role in ensuring citizens’ universal access to information, transparency in the public sector, and participatory democracy. It also sets broader goals of poverty alleviation, competitiveness, productivity, employment, and consumer rights.18 Nevertheless, the legislation includes several provisions that, if implemented with bad intentions, can threaten Angolans’ online freedoms.19 In particular, the law enables the head of government to “intervene when internet service providers jeopardize their social functions or there are situations that gravely compromise the rights of subscribers or users.”20 Because the law does not define “the social functions” or “situations” that could be compromised or the scope of intervention allowed, analysts believe that the law empowers the country’s president to control the ICT sector at will. The Ministry of Telecommunications and Information Technology is responsible for oversight of the ICT sector, while the Angolan Institute for Communications (INACOM), established in 1999, serves as the sector’s regulatory body. INACOM determines the sector’s regulations and policies, sets prices for telecommunications services, and issues licenses. The regulatory body is, on paper, an independent public institution with both financial and administrative autonomy from the ministry. In practice, though, its autonomy is fairly limited.21 According to reports by the ITU and World Bank, INACOM is not autonomous in its decision-making process,22 in part due to the ministerial appointment of the director general who can be dismissed for any reason. In addition, the telecoms ministry has been known to influence staff appointments, while other ministries are often involved in sector policy, leading to politically influenced regulatory decisions. Online content remained uncensored and unrestricted during the coverage period, though online bots were among the top influencers on social media during the August 2017 elections. Nevertheless, censorship of news and information in the print and broadcast media sphere is common, and the authorities have regularly announced intentions to regulate online speech over the past few years. In January 2017, the government followed through with the implementation of new media laws that created a regulatory body with powers to ban websites (see Legal Environment). To date, no sites have been censored under the new law. As a result of low rates of ICT access, radio, television, and print outlets—which are subject to high levels of government interference—remain the primary sources of information for the majority of Angolans. Members of the ruling People’s Movement for the Liberation of Angola (MPLA) party own and tightly control a majority of the country’s media outlets, including those that are the most widely disseminated and accessed. Of the dozen or so privately owned newspapers, most are held by individuals connected to the government. Independent news outlets critical of the government do exist, with Folha8 being the most prominent, though its audience is reached primarily through its print publication. 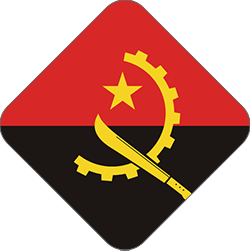 Rede Angola, an independent news blog based in Portugal, is one of the main sources of alternative and independent online news in Angola, alongside the news blogs Club-K and Maka Angola. Nonetheless, the online information landscape lacks diversity and is unable to represent a variety of groups and viewpoints throughout the country due to both the concentration of internet access in urban areas and the limited space for critical voices in Angola’s general media sphere. In addition, independent outlets, both online and in print, are constrained economically by the lack of advertising revenue from both state and private sources since it is often denied to news outlets that publish critical stories about the government. According to an Angolan media observer, Rede Angolastruggled to receive advertising revenue from both private and public sources in 2015 due to the critical cartoons it often published. The outlet has only managed to stay afloat through financing from its wealthy owner, a Brazilian political communications mogul. Self-censorship is pervasive and commonly practiced by journalists in both state-run and private print outlets, though bloggers and social media users are less reluctant to express criticism of the president and ruling party. In the past few years, the internet and social media have become the last frontier for independent voices, with journalists, activists and opposition parties increasingly turning to digital platforms as a means to sidestep the country’s longstanding restrictions on traditional media. Nevertheless, there have been anecdotal reports of online self-censorship becoming more prevalent, reinforced by sporadic arrests of social media users and bloggers over the years. Taboo topics related to corruption, abuse of power, land grabs, police brutality, and demolitions are often avoided. Social media is the leading platform for citizens to criticize the government and react to alleged wrongdoings. Youth groups in particular have increasingly flocked to Facebook to call out government corruption, reflecting a gradual weakening of the culture of fear within civil society.28 Nonetheless, occasional arrests of protesters and online activists in the past have led to a more muted use of digital media to organize and provide critical commentary. New press laws enacted under former President José Eduardo dos Santos in January 2017 remain in effect under the new president elected in August 2017. The laws empower the government with the ability to penalize online speech and ban online content. Prominent journalist and blogger Rafael Marques de Morais was taken to court in March 2018 for “crimen injuria” (insult) against Angola’s attorney general; he was acquitted in July in a win for press freedom. Despite laws protecting user rights, stringent laws regarding state security and defamation run counter to constitutional guarantees, such as Article 26 of the 2010 state security law that penalizes individuals who insult the country or president in “public meetings or by disseminating words, images, writings, or sound” with prison sentences of up to three years.30 The 2006 press law holds authors, editors, or directors of a publication criminally liable for libellous content.31 If the author does not reside in the country or the text is not signed, the law establishes the circumstances in which the editor, director, or both may be held criminally responsible for grievous content.32 Defamation is a crime punishable by imprisonment, while politicians generally enjoy immunity from prosecution. Meanwhile, the judiciary is subject to considerable political influence, with Supreme Court justices appointed to life terms by the president and without legislative approval. In January 2017, former President José Eduardo Dos Santos enacted a set of new media laws known as the Social Communication Legislative Package (Pacote Legislativo da Comunicação Social), which included a new Press Law, Television Law, Broadcast Law, Journalists Code of Conduct, and statutes to establish the Angolan Regulatory Body for Social Communication (ERCA, Entidade Reguladora da Comunicação Social Angolana). The latter body was created to regulate journalists’ conduct and investigate producers of online content without judicial oversight, and has the power to suspend or ban websites that fail to abide by its standards of “good journalism.”33 The inaugural members of ERCA’s Governing Board were appointed in July 2017, composed of 11 members—5 appointed by the majority party in parliament; 3 by the opposition; 1 by the government; and 2 by stakeholders in the sector.34 The new laws remain intact under the new president elected in August 2017. Angolan authorities sporadically target high profile activists and journalists for their reporting and online speech. Most recently in May 2017, the prominent journalist Rafael Marques de Morais who runs the critical news blog Maka Angola was charged with “crimen injuria” (insult) for an October 2016 article published on the news site that accused Angola’s attorney general of illegal business practices in his purchase of state-owned land.38 The article also suggested that then-President Dos Santos had supported the attorney general’s actions. Journalist Mariano Bras Lourenco was also charged for having republished the article in the weekly print newspaper, O Crime.39 Facing up to three years in jail, the two journalists’ court case began in March 2018 and concluded in July with their acquittal.40 Observers applauded the verdict as a win for press freedom in Angola. In June 2015, Wikileaks published leaked internal emails from the Italian surveillance equipment company Hacking Team, which revealed efforts by Angola’s intelligence agency, SINSE, to acquire Hacking Team’s notorious Remote Control System (RCS) in 2013.47 Sold to numerous repressive regimes around the world, RCS spyware has the ability to steal files and passwords and intercept Skype communications, among other features. The documents did not reveal whether the Angolan government eventually purchased or installed the spyware. Strong state influence in the ownership structure of Angola’s telecoms, particularly mobile phone operators, suggests that the authorities are likely able to wield their influence over service providers and require them to assist in the monitoring of communications, if desired.49 Such interweaving of political and business interests through family connections is compounded by the lack of rule of law. Law 22/11 on Personal Data Protection has been in place since 2011, establishing a Data Protection Agency to oversee the processing of citizens’ personal data and international data transfers. The law provides the right for data subjects to “access, object to, rectify, update and delete their personal data.”50Failure to comply with the law is subject to fines of up to $150,000. Online activists and journalists are regularly targeted with threats, though they face less violence and harassment compared to journalists in the traditional media sphere. No known incidents of intimation or violence for online activities were reported during this report’s coverage period. Independent and diaspora news websites have been taken down by technical attacks in the past, though there were no reported incidents during this report’s coverage period. In the past, the critical news blog, Maka Angola, was a repeated target of DDoS attacks before receiving technical assistance from Jigsaw’s Project Shield (Google), which protects websites from powerful technical attacks.51 The investigative journalist Rafael Marques de Morais had also been a frequent target of technical violence via customized malware implanted on his personal laptop,52 which international experts linked to a multinational with strong ties to Angolan military officials.53 He has since received assistance from digital security non-profits to safeguard his online activities. 1 “Percentage of Individuals Using the Internet, 2000-2016,” International Telecommunication Union, accessed September 25, 2018, http://bit.ly/1cblxxY. 2 “Mobile-Cellular Subscriptions, 2000-2016,” and “Key 2005-2017 ICT data,” International Telecommunication Union, accessed September 25, 2018, http://bit.ly/1cblxxY. 3 “Access to electricity (% of population),” World Bank, accessed October 31, 2017, http://data.worldbank.org/indicator/EG.ELC.ACCS.ZS. 4 "Sistema de Cabos da África Ocidental entra na fase final" [Cable system in Western Africa in final phase], Portalangop, October 27, 2012, http://bit.ly/1ZdV7BZ. 7 “Angola cables to build the world’s first submarine cable across the South Atlantic,” NEC, November 4, 2014, http://bit.ly/1MfbXqw. 8 “South Atlantic Undersea Cable in Brazil signals new chapter in African and America’s Telecoms,” It News Africa, February 23, 2018, http://www.itnewsafrica.com/2018/02/south-atlantic-undersea-cable-in-brazil-signals-new-chapter-in-africa-and-americas-telecoms/. 9 “Sonangol’s telecom subsidiary, MSTelcom, discloses its full ownership of Nexus and ACS,” in: Sonangol Notícias, “9º Aniversário da Mstelcom: Ligando o País e o Mundo,” August 2008, nº 17, Sonangol. 10 “Angola – Telecommunications/Electric,” Export, June 20, 2017, https://www.export.gov/apex/article2?id=Angola-telecommunications. 12 “Statistics 2017: General Data,”Instituto Angolana dos Comunicoçoes, accessed October 15, 2018, http://bit.ly/1R0kxgq. 14 Portmill Investimentos e Telecomunicações with 40 percent, Modus Comunicare with 19 percent, Ipang-Indústria de Papel e Derivados with 10 percent, Lambda with 6 percent, and Novatel with 5 percent. See: Rafael Marques de Morais, “The Angolan Presidency: The Epicentre of Corruption,” Maka Angola, accessed October 15, 2018, http://bit.ly/1R0kDod. 16 “Angola: ‘fourth operator’ to be licensed; Angola Telecom to be part-privatised,” TeleGeography, November 29, 2017, https://www.telegeography.com/products/commsupdate/articles/2017/11/29/angola-fourth-operator-to-be-licensed-angola-telecom-to-be-part-privatised/. 17 Assembleia Nacional, Lei das Comunicações Electrónicas e dos Serviços da Sociedade da Informação (Lei nº 23/11), art. 5. 18 Ministéro Das Telecomunicaçoes e Tecnologias de Informação, “The commitment of Angola in Communications and IT sector according to the Recommendations of the World Summit on the Information Society,” (presentation, Geneva, Switzerland, June 2013), http://bit.ly/1jemlbh. 19 “Angola: Legal News,” Miranda Law Firm, April-July 2011, http://bit.ly/1GxSrn7. 20 Assembleia Nacional, Lei das Comunicações Electrónicas e dos Serviços da Sociedade da Informação (Lei nº 23/11), art. 26, 2. 21 Russell Southwood, “The Case for ‘Open Access’ Communications Infrastructure in Africa: The SAT-3/WASC cable – Angola case study,” Association for Progressive Communications, accessed August 30, 2013, http://bit.ly/1N1sn8O. 22 “Angola Profile (latest data available: 2017),” International Telecommunication Union, accessed September 25, 2018, https://www.itu.int/net4/itu-d/icteye/CountryProfile.aspx. 23 “Angola: ERCA members’ inauguration tops Parliament plenary,” ANGOP, August 14, 2017, http://www.angop.ao/angola/en_us/noticias/politica/2017/7/33/Angola-ERCA-members-inauguration-tops-Parliament-plenary,c0a3de16-deaf-44da-84b3-9e0b87d75b34.html. 24 Arthur Gwagwa, “Digital Media: An emerging repression battlefront in Angola?,” Centre for Intellectual Property and Information Technology Law, Strathmore University, Nairobi, Kenya, December 2017,http://www.academia.edu/35814546/Digital_Media_An_emerging_repression_battlefront_in_Angola_M%C3%ADdia_digital_uma_frente_de_guerra_de_repress%C3%A3o_emergente_em_Angola. 25 Interview by Freedom House consultant in May 2015. 27 “How Africa Tweets 2018,” Portland Communications, accessed September 25, 2018, https://portland-communications.com/publications/how-africa-tweets-2018/. 28 Central Angola 7311, website: http://centralangola7311.net/; Central Angola 7311, Facebook page: http://on.fb.me/1VGCP7Y. 29 Art. 71, 2, Assembleia Nacional, Lei de Imprensa (Lei 7/06), 2006, art. 26º, 2. 30 “Angola: Revise New Security Law, Free Prisoners in Cabinda,” Human Rights Watch, December 9, 2010, http://bit.ly/1RvD6tN. 31 Art. 71, 2, Assembleia Nacional, Lei de Imprensa (Lei 7/06), 2006, http://www.wipo.int/wipolex/en/text.jsp?file_id=179557. 32 Art. 71, 2, Assembleia Nacional, Lei de Imprensa (Lei 7/06), 2006. 34 “Angola: ERCA members’ inauguration tops Parliament plenary,” ANGOP, August 14, 2017, http://www.angop.ao/angola/en_us/noticias/politica/2017/7/33/Angola-ERCA-members-inauguration-tops-Parliament-plenary,c0a3de16-deaf-44da-84b3-9e0b87d75b34.html. 35 D Quaresma Dos Santos, “Angola’s latest ply to silence critics: A regulatory body to censor social media,” Maka Angola, August 16, 2016, http://www.makaangola.org/2016/08/angolas-latest-ploy-to-silence-critics-a-regulatory-body-to-censor-social-media/. 37 D. Quaresma dos Santos, “Constitutional Challenge to Angola’s New Media Laws,” Maka Angola, March 8, 2016, https://www.makaangola.org/2017/03/constitutional-challenge-to-angolas-new-media-laws/. 38 “In Angola, two journalists charged over report on corruption,” Committee to Protect Journalists, December 29, 2016, https://cpj.org/2016/12/in-angola-two-journalists-charged-over-report-on-c.php. 39 Christopher Torchia, “2 Angolan journalists charged with insulting the state,” Associated Press, June 21, 2017, https://www.apnews.com/5505e1ec86694e57aee1d1875ec0d2e8/2-Angolan-journalists-charged-with-insulting-the-state. 40 “Angola Journalists’ Acquittal a Victory for Free Speech,” WN, July 7, 2018, https://article.wn.com/view/2018/07/07/Angolan_Journalists_Acquittal_a_Victory_for_Free_Speech/. 41 Janet Gunter, “Digital Surveillance in Angola and Other “Less Important” African Countries,” Global Voices Advocacy, February 26, 2014, http://bit.ly/1LjKxn4. 42 See, Freedom on the Net 2015, “Angola” country report, https://freedomhouse.org/report/freedom-net/2015/angola. 43 Freedom House consultant interviews, May 2016. 44 Arthur Gwagwa, “Digital Media: An emerging repression battlefront in Angola?” Centre for Intellectual Property and Information Technology Law, Strathmore University, Nairobi, Kenya, December 2017. 45 John Reed, “Africa’s Big Brother Lives in Beijing,” Foreign Policy, July 30, 2013, https://foreignpolicy.com/2013/07/30/africas-big-brother-lives-in-beijing/. 46 Roselyn Hsueh and Michael Byron Nelsom, “Who Wins? China Wires Africa: The Cases of Angola and Nigeria,” NYU/Giessen Development Conference, New York University School of Law, New York, April 9, 2013, http://www.iilj.org/wp-content/uploads/2017/02/Hsueh-Who-wins-2003.pdf. 47 Daniel Finnan, “Kenyan government asked Hacking Team to attack dissident website,” Radio France Internationale, July 17, 2015, http://rfi.my/1jc5CVp. 48 See, INACOME’s website, http://www.inacom.gov.ao/registo/index.html. 49 Based on FH interviews. For instance, the top adviser to the head of the Intelligence Bureau at the Presidency, General Leopoldino do Nascimento, is also the chairman and shareholder of Unitel. Meanwhile, the head of the Intelligence Bureau, General Manuel Hélder Vieira Dias “Kopelipa,” holds a majority share (about 59 percent) in Movicel. The deputy CEO and Chief Technology Officer of Unitel, Amílcar Safeca, is the brother of Aristides Safeca, the secretary of ICTs who in turn is a shareholder of Movicel. 50 “Angola Passes Personal Data Protection Law,” Privacy and Information Security Law Blog, September 19, 2011, https://www.huntonprivacyblog.com/2011/09/19/angola-passes-personal-data-protection-law/. 51 Alfred Ng, “Google’s Project Shield defends free speech from botnet scourge,” CNET, September 29, 2016, https://www.cnet.com/news/google-project-shield-botnet-distributed-denial-of-service-attack-ddos-brian-krebs/. 52 There is a detailed account of how the malware was discovered during an international conference. See: Michael Moynihan, “Hackers are Spying On You: Inside the World of Digital Espionage,” Newsweek, May 29, 2013, http://bit.ly/1s29LJY. 53 Janet Gunter, “Digital Surveillance in Angola and Other ‘Less Important’ African Countries,” Global Voices Advox, February 26, 2014, https://advox.globalvoices.org/2014/02/26/digital-surveillance-in-angola-and-other-less-important-african-countries/.